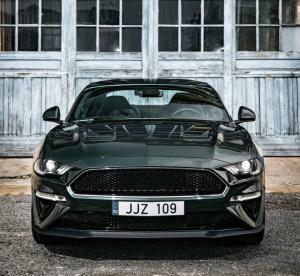 Production of the European Bullitt is expected to start in June; the film of the same name celebrates 50 years since its release this October. 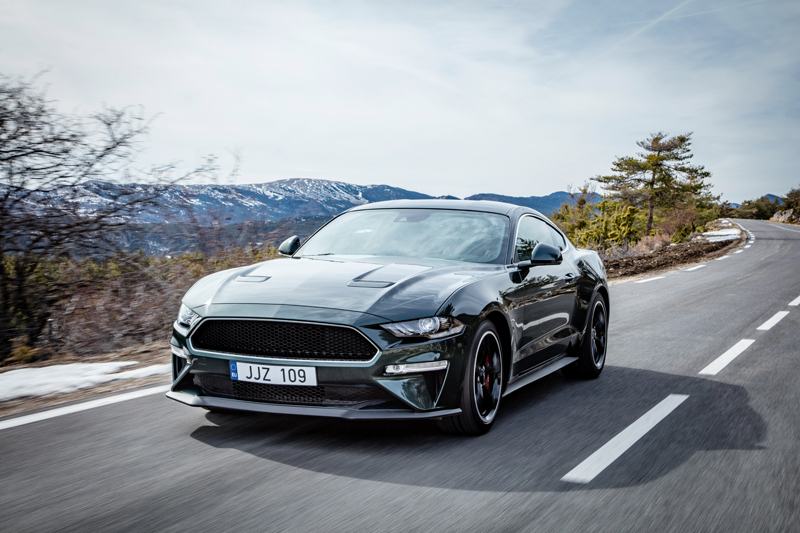 Power comes from an updated 5.0-litre V8 producing 464ps and 529Nm of torque, and benefits from an open air induction system, 87mm throttle bodies, and power-train calibration from the Shelby GT350. A new rev-matching function ‘blips’ the throttle during downshifts, while an active valve in the exhaust system makes the most of the aural theatrics. 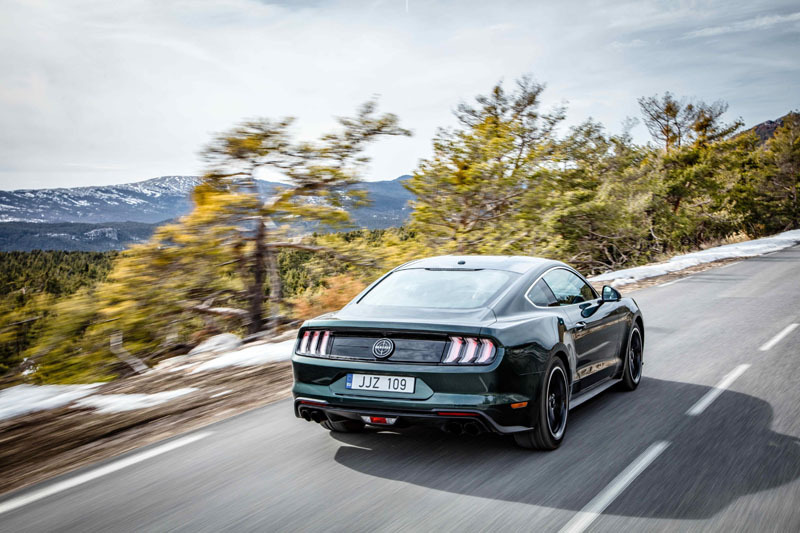 The Bullitt Mustang is available in a choice of Shadow Black or Dark Highland Green, matching that of the original 1968 Mustang Fastback made famous by the near 10-minute San Francisco car chase. 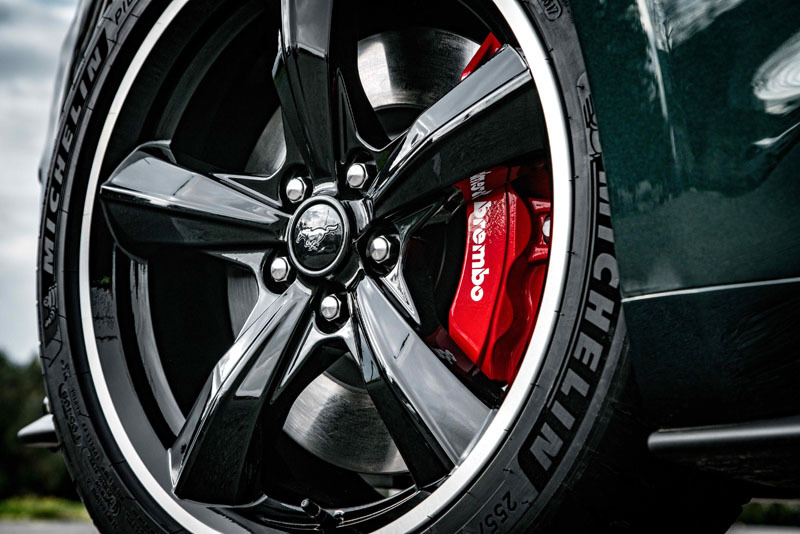 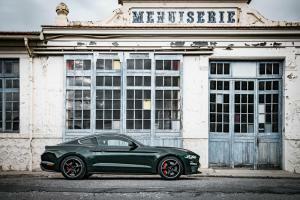 19-inch Torque Thrust wheels honour the original, too, together with red brake calipers and a Bullitt faux filler cap. 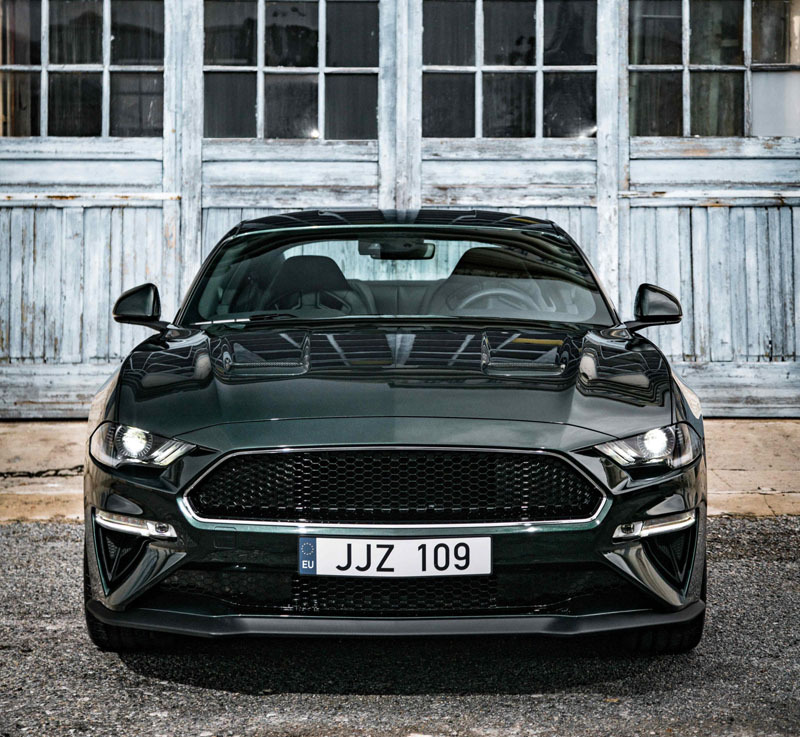 Inside, the car features Recaro sports seats, an individually number plaque, and a white cue ball shifter knob – again, a nod to the original car. 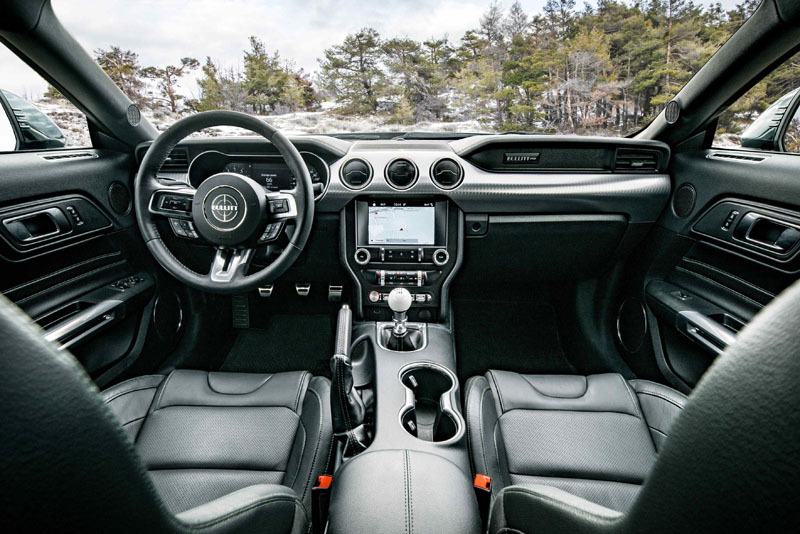 Bringing things more up to date is a 12-inch digital instrument cluster, and a 1,000 watt B&O Play audio system with 12 speakers. 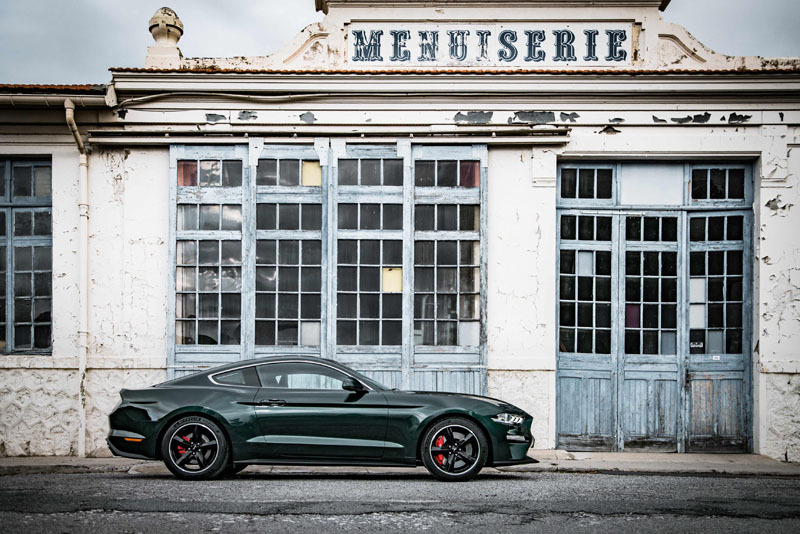 This is the third tribute Ford has paid to the near-legendary Bullitt movie – first in 2001, then again in 2008. 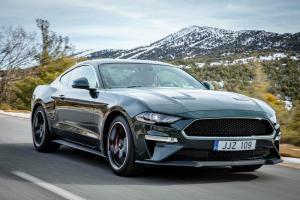 This car, however, marking the 50th anniversary, feels more special. 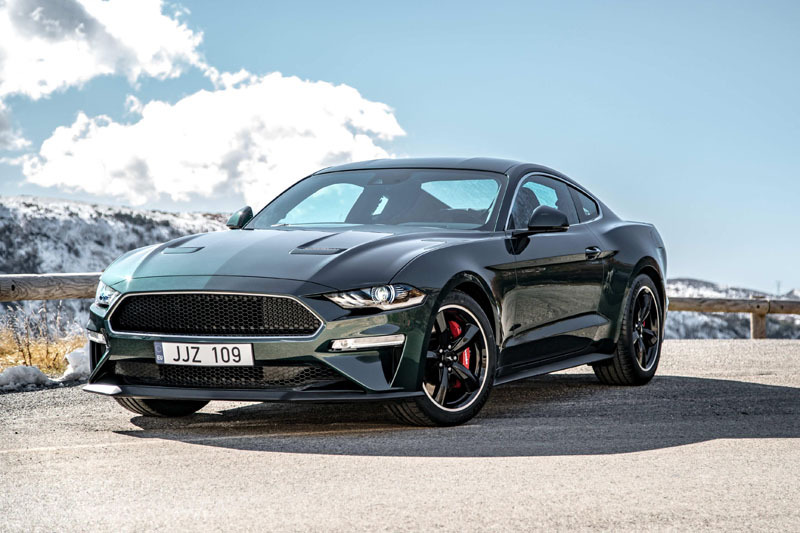 Production of right-hand-drive models is expected to begin in June, and although numbers are said to be ‘limited’ no exact figure has been specified. 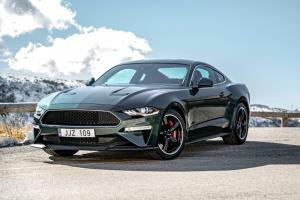 Update: the Ford Mustang Bullitt is available to order now, priced from £47,145. 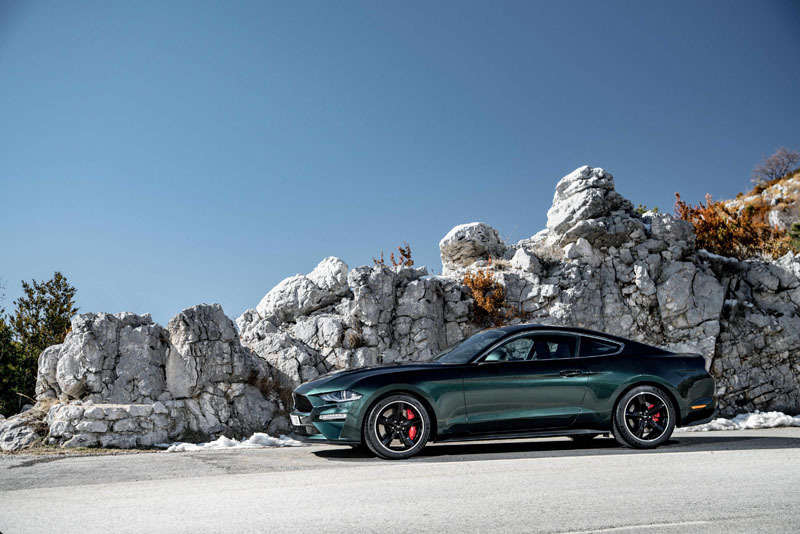 First deliveries are expected in September.